The Students' Union Bar/Cafe is located in the main building in Block E.
Food is served daily from 8.30am until late with an evening menu in place. Daily Specials. Meal Deal offers, quality & value. Clubs & Societies welcome after meetings and training. Staff and Students welcome. Down to Earth vegan soup and bread served every Tuesday, with new flavours of soup available every week. 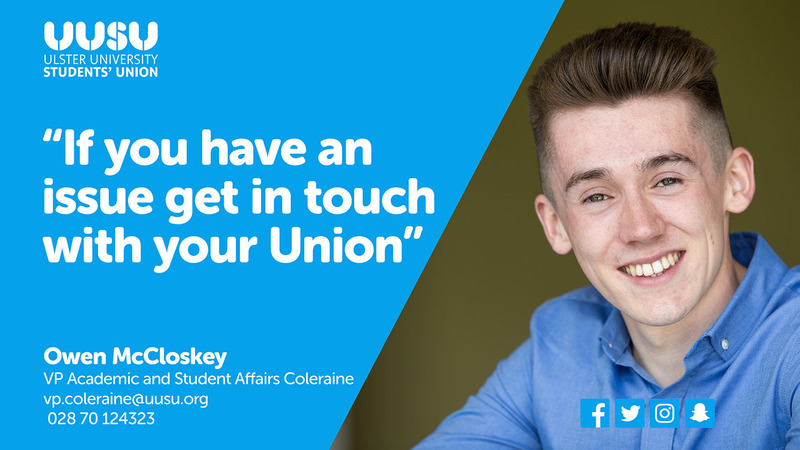 Owen McCloskey, the Site VP is on hand to help and advise students.